Spring has sprung… almost! The season where the sun begins to peek through the clouds and being outside without a full-body coat is possible. Spring cleaning can help you pull yourself out of that wintertime rut and get ready for the summer months. This is our room-by-room guide to getting your home in perfect shape without using the toxic, unhealthy products you may be used to. It may surprise you to know that conventional cleaning products like Clorox and Tide detergents contain harmful and carcinogenic ingredients. We wanted to highlight some of our favourite clean-rated products and show you some ways to clean up your usual spring cleaning routine, whether it be your whole house or just one room. Baby steps! The typical person facing the task of cleaning a kitchen might use as many as 8 products to clean all the surfaces. Products like Lysol Wipes contain ingredients like Synthetic Fragrance and Ethanolamine that can irritate the skin and even be carcinogenic. They are definitely not something you want to expose yourself or your family to! Using an all-in-one cleaning solution cuts time, plastic, space, and helps you save money. The reusable glass bottle from Cleaning Essentials is a great eco-friendly way to cut down your plastic waste while learning how to make your own natural, safe household cleaners. Choose one of the 5 recipes on the bottle, fill it up with the measurements of ingredients, and you’re good to go! It comes with a veggie wash recipe, a kitchen recipe that doubles as an all-purpose cleaner, and more! Bathrooms are another tricky room with many different types of surfaces that can result in your cabinets overflowing with unnecessary cleaning products. Tile cleaners, tub cleaners, toilet cleaners, mirror cleaners … the list goes on. Since you probably aren’t looking forward to cleaning your bathroom, we want to make your life a little easier so you don’t have to buy 10 different products. 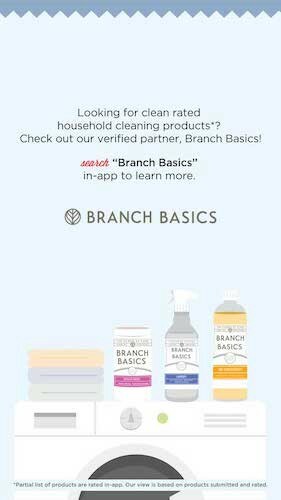 Branch Basics has another one-size-fits-all solution that works for all bathroom surfaces. Their Starter Kit comes with a concentrate and several reusable bottles that can be used to make many varieties of cleaning products like a multi-use bathroom cleaner, a tub and sink cleaner, a hand soap, and more to make your entire bathroom squeaky clean. You will want to make sure your spring wardrobe is in tip-top shape! Typical laundry detergents and fabric softeners like Tide and Downey contain toxic ingredients like Ammonium Chloride and Diethylene Glycol that are known to have several potentially harmful effects on the body. There are healthy, safe alternatives that get the job perfectly in a Think Dirty-approved way. The Soapberry Suds from Buckaroo Organics are a great example of this. Soapberries are a type of berry that contains a natural detergent ingredient that cleans just like a regular detergent. It also possesses natural fabric softening abilities, so no need to add that extra chemical-filled fabric softener! This is a perfect option for those with sensitive skin or allergies. 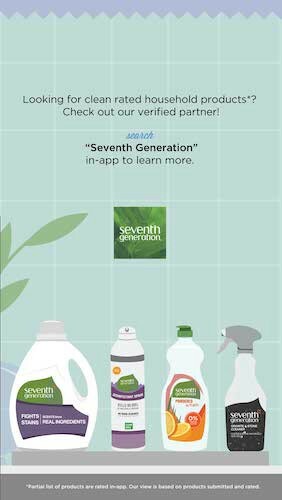 Seventh Generation is another clean brand. They have a product for just about every home cleaning scenario you could imagine, from wood cleaner to bathroom cleaners to laundry detergents. Their dish soaps and laundry detergents are much less toxic than their common equivalents from brands like Dawn and Tide. Not only are Seventh Generation products much safer than the typical cleaning products and detergents, but they also cost the same price, if not less! Expecting a little one soon or already have one at home? Make sure you have all the non-toxic products you need for your baby’s sensitive skin. Seventh Generation carries just about everything you could think of to stock your nursery with, and you don’t have to worry about any harmful ingredients. From special laundry detergents to diapers for every size and safe baby wipes, they’ve got you covered. 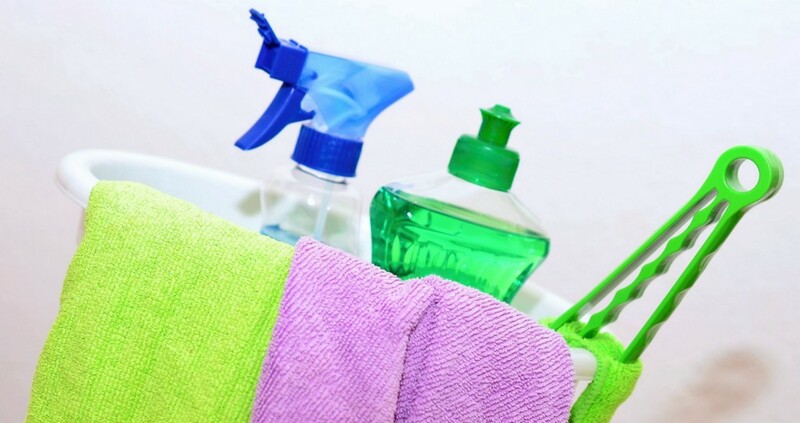 Looking for even more tips on how to beautify your home and detox your cleaning routine? 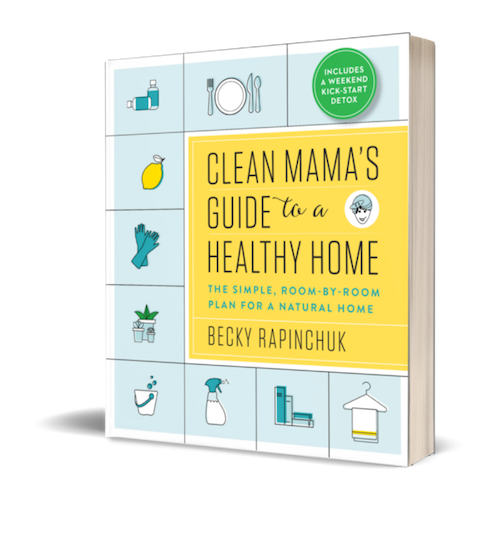 Cleaning expert and author Becky Rapinchuk recently published her holy grail cleaning guide, Clean Mama’s Guide to a Healthy Home. It includes strategies and alternatives to remove toxins from your cleaning routine, DIY cleaning recipes, room-by-room instructions, and tips to make your cleaning process faster, easier, and healthier. These solutions will get the job done without putting you or your family in harm’s way. We hope you can minimize your cleaning routines to make your cleaning more efficient and have more time to get outside! If you’re curious, you can use the Think Dirty app to scan your favourite cleaning products to see if they contain any unsafe ingredients. Happy cleaning and happy spring! 4 Easy Swaps to Clean Up Your Spring Cleaning Routine was originally published in Think Dirty on Medium, where people are continuing the conversation by highlighting and responding to this story.